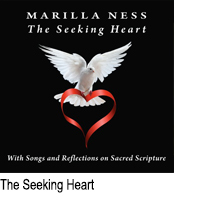 This double album from Marilla reminds us that the most important thing in our lives is our relationship with God. Marilla offers us insights into faith and gives us an understanding of God and His purpose and will for us. Featuring thirteen beautiful Biblical Songs from her albums, her wish is that you will be encouraged to make Bible reading a daily practice.